West End Caterers Hire Services, based in Northern Ireland, will provide wedding couples with all the supplies needed to make their wedding reception a success. West End Caterers offers both light and heavy catering equipment for hire, whether the food needs to be kept hot or chilled. Cookers, hot cupboards, deep fat fryers, BBQs, fridges and freezers are all available at your request. The perfect seating is only a call away. West End Caterers have a range of event seating in stock. Just request it, and they will endeavour to match the tables and chairs to your wedding theme. Also, table and chairs come in various materials such as plastic or traditional wood. 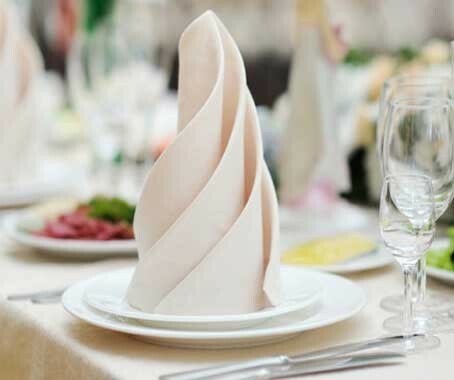 Tableware and other accessories are also available for your wedding reception: cutlery, crockery, table napkins, table linen, ice buckets, glasses, as well as other specialist equipment. West End Caterers supplies catering and serving equipment to small, medium and large wedding events in Northern Ireland. Do visit their website to browse the online gallery and for a full list of their prices. Provide your details below and West End Caterers will be in touch soon.